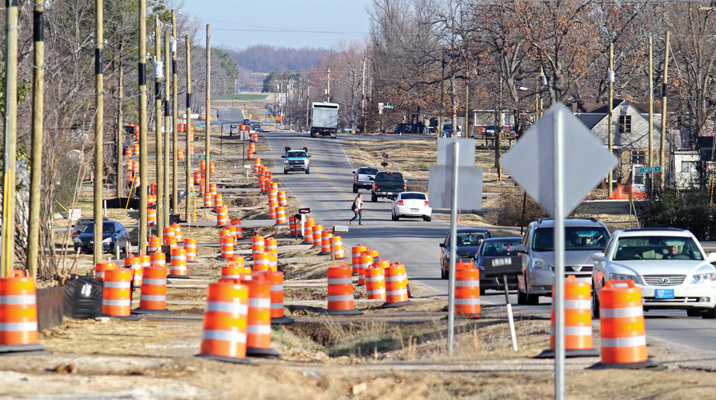 Traffic passes along Garland Avenue north of Harps Foods during a project to widen the roadway in 2013. As Fayetteville prepares for an upcoming bond referendum, some readers have asked what the city’s current sales tax rate is, and how it compares to other cities across the region and state. We’ve also been asked a few other basic questions about the 2019 bond program. Here’s what we know. What is the 2019 bond program? Fayetteville voters will head to the polls on April 9 for a special election that would renew a 1-cent sales tax that voters last approved in 2006. Just like 12 years ago, the money would be used to pay for a list of proposed capital projects. What was the 2006 bond program for? What would the 2019 bond program do? The 2019 bond program would generate up to about $226 million to be used for road, drainage, trail and park improvements; economic development; construction of a cultural arts corridor with potential new parking facilities; a new police headquarters; new fire stations; various city facilities improvements; and refinancing outstanding sales tax bonds. Here’s the full list. Do other nearby cities do this? Yes. Springdale last February passed an extension of its 1-cent sales tax for almost $225 million in bonds, and Rogers voters in August passed a nearly $300 million bond referendum. The Fayetteville ballots will include 10 different questions, right? Yes. There are 10 project categories. Only the categories that pass will be funded and implemented. What is the current sales tax rate in Fayetteville? How does that compare to other cities in the region? Other nearby cities that also collect 2% include Bentonville, Centerton, Farmington, Highfill, Gravette, Johnson, Lincoln, Lowell, Rogers, Siloam Springs and Springdale. We’ve listed every Arkansas city’s sales tax rate below, but remember you need to add in the county tax plus 6.5% to get the total tax charged at the register. 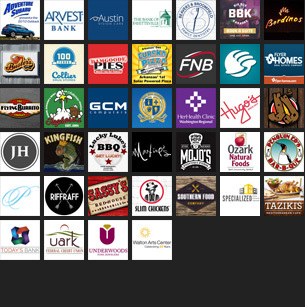 Some cities in Arkansas collect an additional 2% tax at hotels, motels and restaurants for tourism purposes, including Bentonville, Conway, El Dorado, Eureka Springs, Fayetteville, Fort Smith, Harrison, Hot Springs, Jonesboro, Little Rock, North Little Rock, Pine Bluff, Rogers, Russellville, Springdale, Texarkana and Van Buren. Below is a list of cities in Arkansas that collect a local sales and use tax. The state collects 6.5%, and most counties collect a percentage as well. To get the full percentage, add the state, county and city amounts.